I plucked this one from our editor’s grasp as soon as he’d pulled it from his goodie bag of new books to review and before any fellow Magonians could get a look-in, having become something of a fan of Robert Conner’s writing after reviewing two of his previous works, Magic in Christianity and The Secret Gospel of Mark. I knew I was in for a treat, and I wasn’t disappointed. Conner’s specialism – and passion - is the historical origins of Christianity, particularly in putting them in the context of the culture of the time, an approach that does away with many of the claims to uniqueness later staked by the religion. Much of his writing springs from an exasperation that it’s not just theologians who insist on the New Testament books having a special status which allows them to be treated in isolation from the world in which they were composed and puts them beyond the critical analysis routinely employed with other ancient texts, but also academics who, out of fear of offending the faithful, take the same line. Conner knows his stuff, especially the linguistic side (he studied Greek and Hebrew at Western Kentucky University), although he doesn’t hold a position within academia, preferring the title of ‘independent researcher’, which does leave him, and therefore his ideas, rather outside the fold. It does, though, give him freedom to ruffle feathers and speak bluntly in a way that perhaps wouldn’t be tolerated from an academic insider. But like his other books, Apparitions of Jesus is replete with quotes from and citations of bona fide academics – and a lengthy bibliography - that shows his mastery of the field. As the title and subtitle make clear, in his latest book Conner focuses on – or rather takes aim at – the sacred heart of the gospel story and of Christian faith itself: the resurrection. As Paul himself said, "if Christ has not been raised, then our preaching is in vain and your faith is in vain." Unfortunately for Paul, comparing the New Testament accounts of Jesus’ post-resurrection appearances to contemporary ghost stories from the Greco-Roman world that are found in collections of fantastic and strange events known as paradoxa, Conner finds many striking parallels – ‘common elements of ghost lore’ - which, clearly, suggest that those early Christian narratives were influenced by them. As Conner notes at the outset, despite the obvious and striking similarities, few New Testament scholars have explored, or even acknowledged, these parallels – even though early critics of the religion, such as Celsus, pointed them out as early as the second century. It is, he laments, another example of academia’s unwillingness to challenge Church dogma: "Merely to raise such a question not only offends Christian belief, it lacks deference to the religious sensibilities of others." Conner opens by looking at popular ideas about ghosts and the spirits of the dead in the ancient Mediterranean world, particularly among the Greeks and Romans but also the Jews, both of Old Testament and Jesus’ time. For obvious reasons he pays particular attention to beliefs - and fears - about the returning and wandering dead, and the festivals and rituals designed to placate them. This takes in the use of magic ritual – conjuration and necromancy – intended to bring back the spirits of the dead (including a short section on the early Christians use of holy relics – ‘Christian necromancy’ as Conner calls it – which as they were thought to keep the saint ‘magically present’ counts, he argues, as such a ritual). From his survey of the circumstances that were believed to produce an earth-bound, wandering spirit, Conner concludes that "Jesus, executed as a dishonoured criminal, presumably unmarried and childless, and dead before the natural span of life, represents a perfect candidate for a restless ghost with magical powers." Basically, he ticks all the boxes. The ritual magic aspect leads naturally on to a chapter, ‘The Ghost of John the Baptist’, which examines the subtext of Herod Antipas’ fear, as given in the earliest gospel, Mark, that Jesus owed his powers as a healer and exorcist to his control of the Baptist’s spirit, which he had raised from the dead, an interpretation first suggested by Carl Kraeling in 1940. The enslaving of the spirits of, especially, those who had died violent or premature deaths, was a common feature of magical belief of the time, and this, Conner shows, is the only explanation that makes sense of Herod’s words, despite the ‘short shrift’ it’s been given by New Testament scholars with an ‘apologetic bent’. When it comes to the resurrection itself, Conner (following the likes of Gerd Lüdemann and based on the internal evidence of the New Testament books themselves), concludes that the very earliest Christians, Paul included, didn’t believe that Jesus had physically returned. Their experiences of the ‘risen’ Jesus were purely internal – either spiritual or, as Conner prefers, hallucinatory – and the accounts of Jesus physically interacting with the disciples (Doubting Thomas and all that) were later inventions. Accepting that those early experiences were, at least to the disciples, real, and looking for a ‘naturalistic explanation’, Conner invokes modern studies of such phenomena as temporal lobe epilepsy and the voices heard by schizophrenics, concluding that, for example, Paul’s life-changing vision on the road to Damascus was due to a temporal lobe seizure. He also links them to the ‘hallucinatory experiences’ (as Conner unquestioningly labels them) of newly-bereaved husbands and wives who either see or feel the presence of their deceased spouses, as well as religious visions (such as those of the Virgin Mary) and shamanic ‘soul flights’. While his argument that all these are really forms of psychosis – experienced by what he called the ‘psychiatrically religious’ – is a drastic over-simplification, his essential point that, whatever causes these other phenomena was also responsible for the early Christian experiences, holds. And even here the New Testament writings reveal the influence of contemporary literature. Conner shows how the Acts of the Apostle’s account of Paul’s vision – or rather accounts, as Acts gives three separate, and mutually contradictory, versions – not only shares many features of, but even quotes directly from, Euripides’ 4th-century-BC Dionysian play The Bacchae. Turning to the gospel accounts of Jesus’ post-resurrection appearances, Conner emphatically rips them apart (admittedly not a difficult job), detailing the many contradictions and inconsistencies that reveal them to be later inventions. Although Conner has reined in the tendency displayed in his previous books to be over-scholarly – such as the use, without definition, of specialist terms and quotes in Greek characters - which might, unfortunately, have been off-putting to more general readers, he does assume an acquaintance with the basic academic understanding of the origins and development of the New Testament books. A significant example is in his discussions of Mark’s gospel – the earliest – in which he assumes the reader knows that it originally ended with the discovery of the empty tomb by Mary Magdalene and the other women, the verses describing the disciples’ encounter with the resurrected Jesus being tacked on some centuries later. It’s a fact that, while known to scholars for decades, will be news to many general readers (particularly church-going ones), who are therefore likely to be confused by Conner’s lack of reference to those closing verses. When it comes to the parallels with Greco-Roman ghost stories, Conner focuses on the gospels of Luke and John, both of which borrowed (he allows that it might have been unconsciously) "features of universally current ghost lore to flesh out their narratives." In Luke in particular, "The appearances of the risen Lord begin to take on characteristics of classic ghost stories." His overall conclusion is that "The post-mortem apparitions of Jesus in Luke and John exhibit traits of the revenant, a semi-embodied ghost that appears once or for a short time following the death of the subject and performs bodily functions such as speaking, eating, and displaying the wounds that ended life." Indeed, "Every essential feature of the resurrection stories – sudden appearance and disappearance, the fear and confusion of witnesses, the empty tomb and tokens found within it, speaking, eating, and drinking as proof of life, tangible presence, the brevity of the appearances, the display of pre-mortem wounds, encouraging and admonishing - is also found in contemporary Greco-Roman ghost stories." Aside from the ghost lore, Conner also looks at ‘translation fables’, in which a legendary heroic or religious figure is taken up, without dying, to heaven, from where they sometimes reappear to deliver predictions or warnings. Such tales are known from the Old Testament – Elijah and Enoch, for example – but also from Roman legends such as that of Romulus, and even that of Jesus’ great pagan rival Apollonius of Tyana. Conner argues that Jesus’ tale originally was of such a type – and was influenced by them - which is why Mark’s account ended so enigmatically. As usual, Conner makes thought-provoking suggestions which have wider implications for understanding what the gospel stories originally meant to those who wrote them (and therefore how later Christianity repurposed them). For example, he proposes that the original significance of the empty tomb was that it was taken as the first sign of the promised resurrection of the dead (not just of Jesus) – another reason why the first gospel ended there. Only later, when that had failed to manifest, was it reinterpreted as a sign of Jesus’ own, individual return – which then required the concoction of stories that he had, indeed, been seen, complete with ‘proofs’ such as Thomas’ poking of Christ’s wounds. A related factor, Conner argues, was the failure of the Second Coming (Parousia) that the first Christians were expecting imminently. By the time Luke wrote his gospel, "hope for an imminent Parousia, the physical presence of Jesus, was fading fast and his post-mortem appearances had to be adjusted accordingly." He also suggests that this was when the Eucharist was elevated to become "a placeholder, a proxy" for the Parousia – making Christ sort-of present even though he’s still not here. A very interesting thought. Conner succeeds in showing that the gospel accounts of Jesus’ resurrection – like many other passages in the gospels – borrow elements from the wider world of which the first Christians were part. 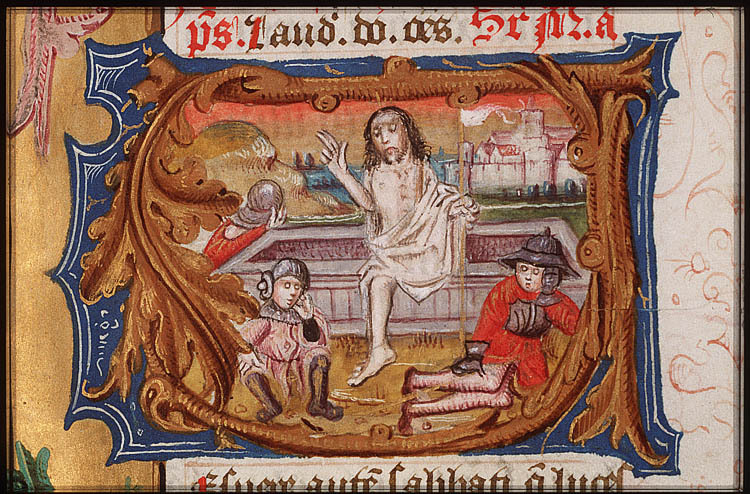 That’s not to say that the resurrection is just a ghost story: whatever happened, it had an essentially religious meaning to Jesus’ followers, however we choose to interpret that (genuine spiritual revelation or psychosis?). Only later, in the writing, was it expanded and embroidered with borrowings from various other sources, including contemporary ghost lore. -- Clive Prince.